Have you ever noticed what is the thing that never fails to catch your attention when checking mail? Is it countless bills, promotional newsletters, or beautifully written colorful postcard? Yes, it is postcard, it always stands out that is the reason it has been used for ages for promoting business. It is beneficial for all kinds of business. It helps them to reach areas where other forms of advertisement like electronic media and print media are not able to reach. They are the preferred source of marketing for such remote area, and of course they are cheap. At a time, when the worldwide economy is going through a tough face and emphasis is on cutting down cost, post card comes up as a cool breeze. They act as mini classified advertisements promoting your product & service, helping you built up new customer base. Like printing other items, we are pioneers in post card printing. We are in the printing industry from the last 18-years, we have seen closely how post card printing has evolved, and we have been a part of it. Our vast experience is going to be definite plus point for you as we know which design is going to work for your business. We S S Graphics started our business from a small scale, so we very well understand the difficulties faced by startup business, small & medium businesses, so we offer the most reasonable postcard printing cost in the industry. 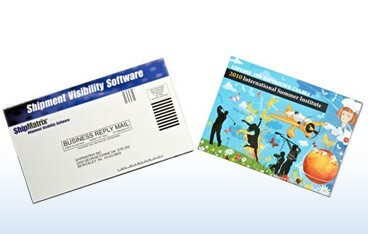 Depending on your need you can choose either standard postcard printing, or color printing. Go on, explore and conquer New Avenues with our Business Post Cards. Post Cards Printing is Easy! Postcard marketing is an inexpensive and unbeatable approach to driving direct response and attracting new customers.We here at S S Graphics make use of attention-grabbing images and designs making the postcard a quick and easy way to share important information with customers , launch a new product or service or reinforce key branding messages. With a variety of creative designs,postcards can be put to endless uses .one can use them as greeting cards, RSVP cards for any event ,note cards,invitations,or even thank you cards! Size : Choose an Option... 4" X 6" 4" X 9" 5" X 7" 5.5" X 8.5" 6 X 9 6" X 11" 6" X 8"